Over the last five fiscal years, GSBC* has donated/granted $1,016,552 to the local communities in which we serve. GSBC is committed to the mission of further developing the small business community and looks forward to continuous growth in this endeavor. Each year, GSBC links with organizations that are tied to economic development in their communities. Contact us today to find out if you qualify to submit an application. GSBC provided a grant to Community Sustainability Enterprise located in Lawrenceville, Georgia. Their platforms simultaneously address economic and education disparities with a keen focus on stakeholder accountability. Community Sustainability Enterprise, Inc. (CSE) seeks to provide early interventions and continuous academic support for high school students with the goal of ensuring high school graduation, motivated and prepared for college and/or career. CSE will implement The Roadmap to Financially Fit Communities, based on research and experienced-based knowledge and practice, to deliver workforce development strategies to high school students while they are attending high school. CSE will offer targeted services to increase students’ likelihood and opportunities to graduate high school, motivated for post-secondary options and ready to succeed in the workforce. CSE will use the GSBC grant funding to expand The Roadmap to Financially Fit Communities workforce training program by providing two additional modules. GSBC provided a grant to Homestretch located in Roswell, Georgia. HomeStretch guides working homeless families with minor children in north metro Atlanta toward increased self-reliance and stability by providing supportive housing, case management, life skills education and mentoring. Funding from GSBC will provide general operating funds for the HomeStretch Supportive Housing Program. This funding will cover expenses for professional social workers and program staff to provide mandatory case management, bimonthly Life Skills Education for adults and youth, budget and family mentoring and affordable housing for each family. Operating funds also cover housing repairs, maintenance, utilities, other housing costs plus administration of the program. GSBC provided a grant to Rainbow Village located in Duluth, GA. Rainbow Village, established in 1991, is an incredible organization that helps break the cycle of domestic abuse and poverty through the empowerment of change and independence; serving over 30 families at a time and helping them get off the streets and back into the workforce to become productive citizens. 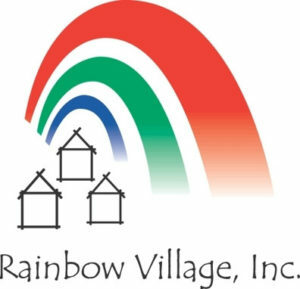 GSBC is proud to have been able to assist Rainbow Village in pursuing their mission to transform the lives of homeless families with children. Learn more about Rainbow Village by clicking here.